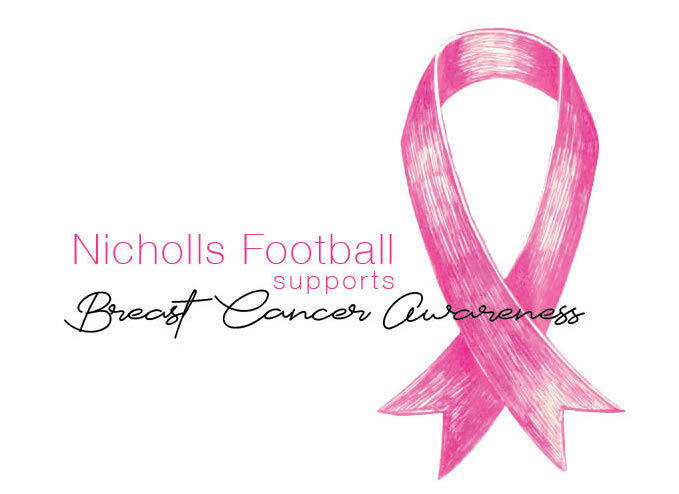 The Nicholls State University football team wears pink-colored equipment like gloves, towels and wristbands for the month of October in support of breast cancer awareness. October is known as “Breast Cancer Awareness Month,” and many sports teams in the past, like the New Orleans Saints, have donned pink gear to help raise money for medical research. Head coach Tim Rebowe said the color pink has become synonymous with October, especially in sports. “It is a pink game, so you will see pink everywhere during October,” Rebowe said. “The football players will wear pink shoes, pink socks, pink wristbands, anything that will bring awareness to this disease. I think that so many people’s lives are affected by it. Players, their parents, their mom, their sisters, coaches; there are so many people that have been affected by this,” Rebowe said. Rebowe said the game of football impacts many lives with the awareness for breast cancer. “I think football reaches so many people, so it is probably a good platform for people to see, ‘hey if football is supporting, [then] it is really important,’ not just in Thib though, [but] across the whole country,” Rebowe said. Junior defensive lineman Sully Laiche said the month has been really eye-opening for him and his teammates, as some of the players’ family members have had personal battles with cancer. Athletics director Matt Roan said supporting “Breast Cancer Awareness Month” shows the university’s commitment to its partnership with the nearby Thibodaux Regional Medical Center. Roan said the pink colors are not just something people will see at Nicholls, but around the United States. 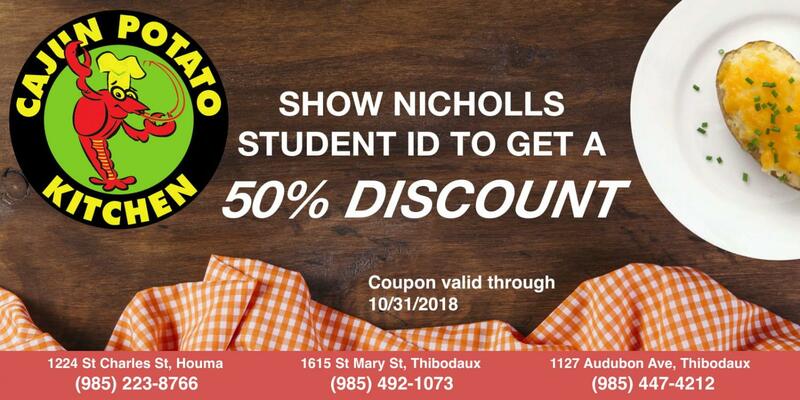 “[The Breast Cancer Awareness Month] is something that has been done at Nicholls in quite some time, and again our partnership with Thibodaux Regional is really what spurs it. 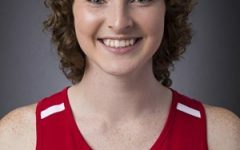 [However,] it is not just something that is done at Nicholls, but something that is done across the nation and in all levels of sports,” Roan said.